Would anyone outside the uk like to see Jeremy Kyle? see his show, let me know you think of him. Best Answer: OUR shame? Must say, all the same this poor, rather well spoken lad is NOT typical of the show, and is obviously somewhere on the autistic spectrum. Should NOT have been invited and put through that. Surprised at them, frankly! I live near the studios, and use a taxi company employed by Granada TV. Have heard some of the guests are a disgrace, when ferried around, and some ask the stupidest questions, on they way back home, like "have we left Manchester yet", some 40 miles OUT of the city!! Also heard many wreck their hotel rooms. All hearsay, but hey ho!? Once DID turn it on and saw a "client" of mine, I knew in my professional capacity. Was a lovely story, involving a girl loosing a baby, because her BF had kicked her in the stomach! Is NO WAY as staged as Springer. That is utter humiliation and really disturbing, with all the staged fights and clothes ripping. Some types do get help from Kyle and his team, but some of the ones who become regulars just enjoy their extended 15 minutes of fame that little too much. Love how these "chavs" are starting a family, a few weeks into a relationship, paid for by us tax payers. Also so much admission of drug use, why not just have a police team based in the studios? Also what gives with all this "he beats me up, but I love him" they bleat!! God help us!! Lie detector? Smydetector !!!!! For me KYLE has a serious case of "little man syndrome". Is VERY full of himself! I no longer work full time, and admit I turn it on at 9.25am, ITV-1, if nothing better to do, so I am just as bad as the rest of the oh so smug voyeurs, who need their dose of trash, before they can face the day ahead?! He is the UK version of Jerry Springer, a former therapist, who is rumored to have paid his guests to act out scripts. It seems the guests on the Jeremy Kyle show are doing the same thing from the way they reply to questions. I can't stand to be in the same room with the Jerry Springer show guests fighting on TV. I'd certainly like to see Jeremy Kyle OUTSIDE of the UK, Suzie. Preferably stranded on a coral reef in the south Pacific Ocean - at least 1000 miles away from the nearest passing ship. 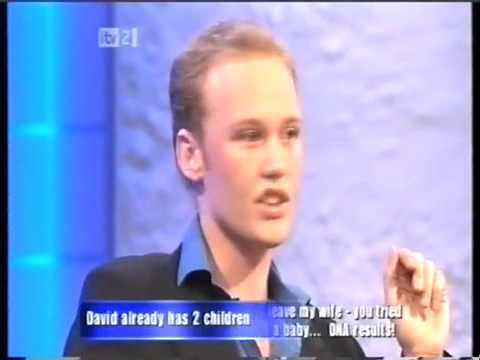 I hope that whoever makes the Jeremy Kyle show does not export it. are as feckless as some of his 'clients'? Thank heavens for the off button! His show airs in my part of the USA. He is like Jerry Springer and Maury Povich: he exploits the poor and uneducated. Unlike the American hosts who try to come off as friendly and helpful, Kyle is always angry and scolding. I'm sure his show is as scripted and fake as it's American counterparts. I saw his show this morning on our local channel. He's a vast improvement over Jerry Springer or Maury Povich. He adds a touch of class to the telly. I wouldn't cross the road to p on him if he was on fire. He takes uneducated and vulnerable persons, that probably get paid a few quid to be insulted and humiliated. In Victorian times people could pay to go and visit inmates in an asylum. This is the modern equivalent. I've only watched him a few times, it all seems to be about people taking lie detector tests which can't be used legally in the UK . The "American version" of his show airs here in the Detroit area at 4 pm, and I promptly reach for my remote to change the channel. He tries to come off as a straight shooting, tell it like it is hero who fights against all things moronic...but how hard is that, when you pit yourself against people who obviously drew the short straw in life...? My sister is naming her son Jeremy Kyle Langdon!!!!? I think the McCanns would fit in well on the jeremy kyle show, don't you? Why are the teenage pregnancy rates so high in the UK? Are British men falling fowl of American subcultures when it comes to bad fatherhood? UK Big Brother 2012 and more celebrity guests?